(386b) in D-Major. Composed by Wolfgang Amadeus Mozart (1756-1791). 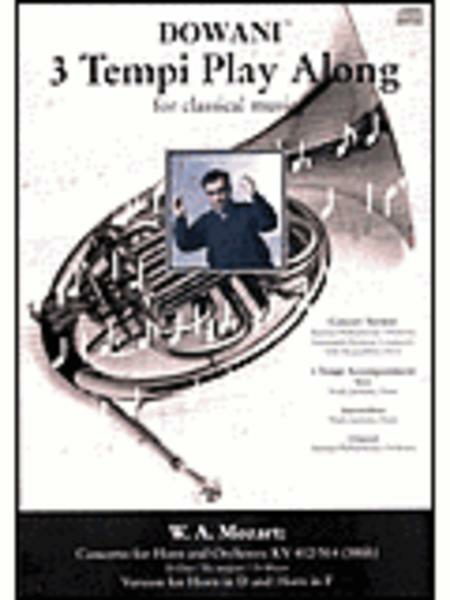 3 Tempi Play Along. Play Along. Box Set. Hal Leonard #DOW 08004-400. Published by Hal Leonard (HL.44006533). ISBN 9783905476279. 6.25x9 inches. International (more than one language). Dowani 3 Tempi Play-Along Book/CD Pack.